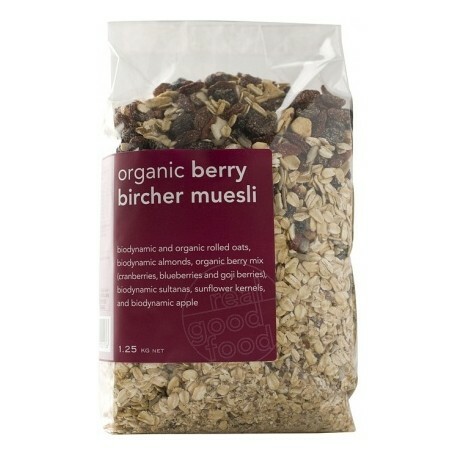 Organic Bircher Muesli is the ultimate breakfast cereal. It is not only delicious, but supplies all the essential daily nutrients in correct balance. 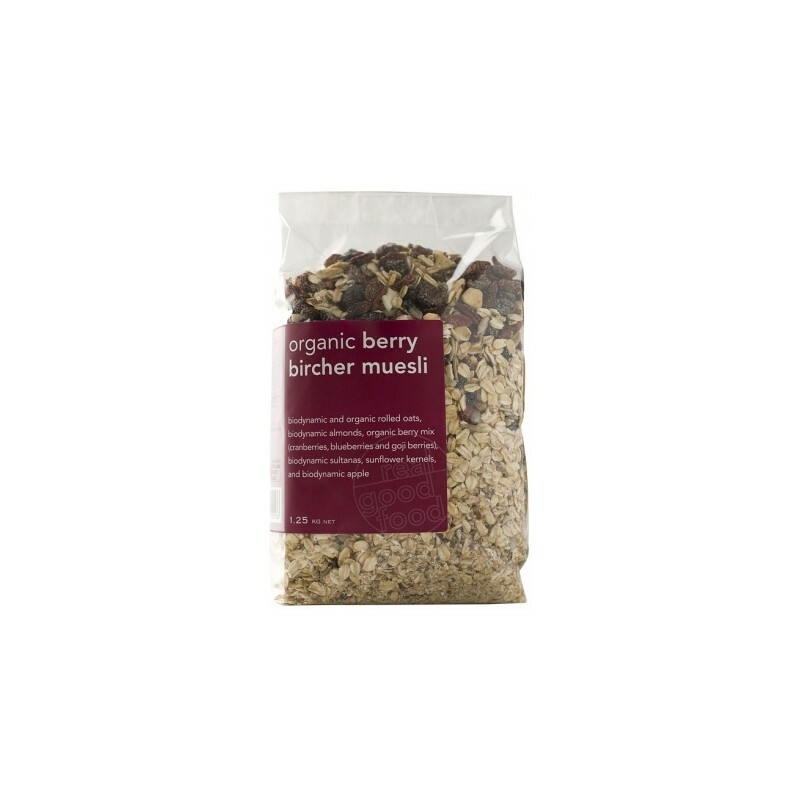 The Ingredients are sourced from Australian organic & biodynamic farmers. 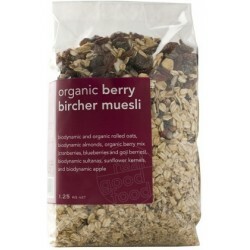 Organic Bircher Muesli is in my opinion the ultimate breakfast cereal. It is not only delicious, but supplies all the essential daily nutrients in correct balance. We have added this delicious tangy trio of organic cranberries, blueberries and goji berries for flavour and nutrition. COnsidered by many to be a modern day SUPERfood, berries contain extraordinary health and anti-ageing benefits.